This is heart breaking, we live near the Sizewell A, B and proposed C/D sites in Suffolk, and are aware that the spent nuclear fuel has been transported to Sellafield for many decades to our shame. To try to bury such a dangerous waste legacy in the Cumbrian hills is nothing less than total environmental vandalism, and must be stopped. Many of us believe that there should be no expansion of Nuclear Power generation for this very reason. It is like sticking a knife into a John Constable painting. Future generations will not thank us for completely fouling up their natural heritage. We’re going with a several large banners. Also protesting this Friday (25th) in Carlisle outide the private propaganda meeting (Hall Mark Hotel, outside train station, 9am) where pro-dumpers will try to influence the decision of the 30th. Also protesting outside that meeting (30th) of the Cumbria County Council Cabinet where they’ll decide whether or not to proceed. I very much agree with you, Grevel. 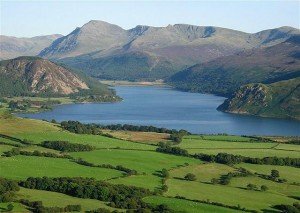 It would be mad and sad to disfigure the Lake District in that way.